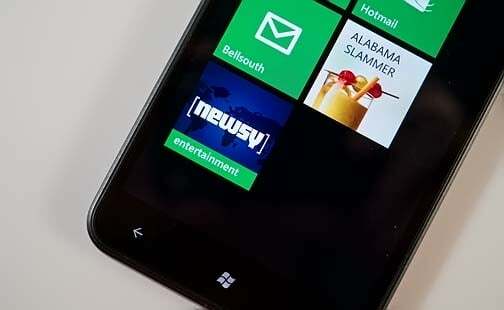 Here's an interesting news reader for your Windows Phone. Newsy is a news app that presents two minute videos on daily news stories that are compiled from various sources. A summary video of sorts that puts all you need to know on a current event/news item in a nice, two minute package. As the Newsy tag line reads, "multiple sources, the real story". Newsy is laid out fairly simple with stories populating the Home Page that are grouped into three broad categories; recent, popular and most commented. You also have a Category Page that lets you scan stories from eight topics; World, U.S., Politics, Business, Technology, Entertainment, Science/Health, and Sports. Categories from the Home Page or Categories Page can be pinned to your Start Screen for easy reference. There is also a magnifying glass button control rests at the bottom of the screen that will pull up a key word search field. The selection of videos on Newsy was respectable considering the videos are made from scratch. From the individual video screen you have pages to view the two minute Newsy video, view any readers (or would it be viewer's) comments, and a "more" videos page that lists additional videos from the day's events. At the bottom of the video page you will see three button controls; a transcript, share and source. The Transcript Button will pull up the written text of Newsy's video. The Share Button allows you to share videos via email or text and the Source Button pulls links to any references used in the video. Videos for Newsy loaded quickly and are well presented. The reporters and writers do a very good job fitting the full story into a two minute block. Add the ability to view transcripts and visit source references and you have a very attractive Windows Phone app. 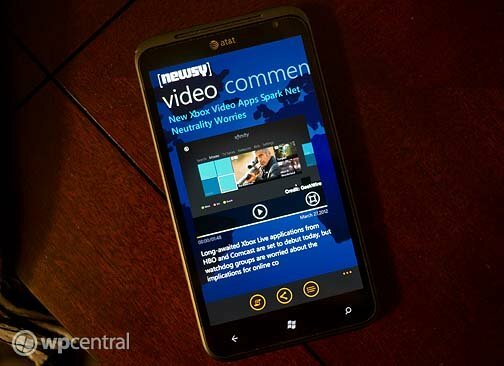 All in all, Newsy is an impressive news app for your Windows Phone. In using Newsy for just a short time, the only suggestion I would offer to the developers is to add a "home" button which will eliminate the need to hit the back button so much. Otherwise, it's a very nice news source for your Windows Phone. 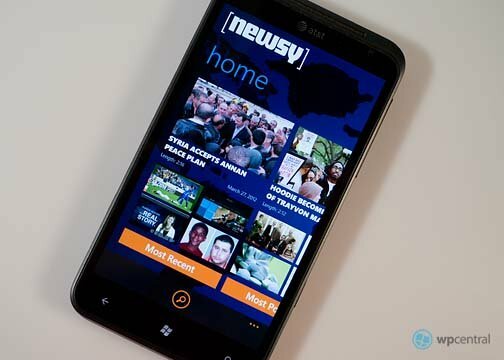 Newsy is a free app that you can grab here at the Windows Phone Marketplace.